February 2014 – There is an exciting new design option available in solid surfaces, offering an advanced solution for darker colours and delivering high performance, elegance, reliability and hygiene. Within its long-term “Endless Evolution” initiative, DuPont has once again set a new, superior standard in advanced surfacing materials for interior design and architecture: the research and development laboratories of DuPont have developed an innovative manufacturing solution called DeepColour™ Technology* (a patent pending invention) enabling the creation of dark solid surfaces which offer deeper, more intense and durable colour, improved wear performance and easier thermoforming, seaming and finishing. 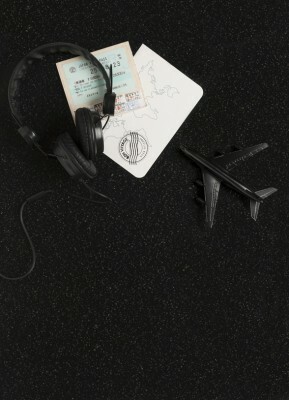 – DuPont™ Corian® Deep Anthracite, a lustrous black immersed with minute flecks of silver. 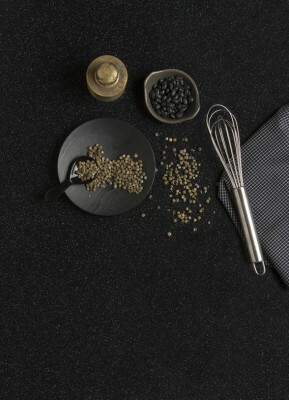 – DuPont™ Corian® Deep Night Sky, a midnight black with a galaxy of translucent particles. The four colours of DuPont™ Corian® made with DeepColour™ Technology will be commercially available in Europe, Middle East and Africa as of 1st February 2014. “In summer 2013, we launched the Endless Evolution initiative for DuPont™ Corian®, introducing new marketing tools and on-line services for industry, specifiers and consumers. Now we are introducing our DeepColour™ Technology, a science and technology based innovation applied to the dark colours of DuPont™ Corian® solid surfaces. We have used it to make four black tones with an enhanced combination of beauty and functionality. The Endless Evolution initiative and its generation of new products are a further, clear demonstration of our strong commitment to the solid surface market, to the competitiveness of all our customers and to the satisfaction of end users,” says Jean-Yves Bach, business director of DuPont Building Innovations, Europe Middle-East and Africa. 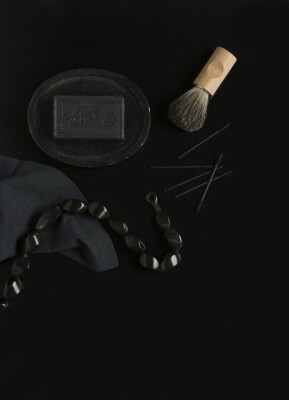 DuPont to produce solid surfaces in dark colours featuring an enhanced combination of beauty and functionality. in dark colours featuring an enhanced combination of beauty and functionality. produce solid surfaces in dark colours featuring an enhanced combination of beauty and functionality. The DuPont™ Corian® business has launched a new long-term initiative – across the Europe Middle East and Africa region – represented with the “Endless Evolution” slogan and logo. 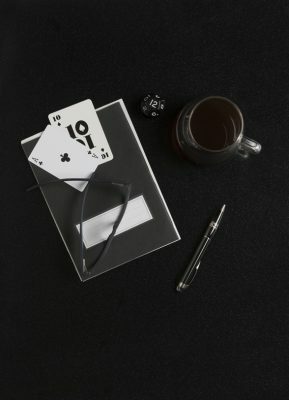 The initiative encompasses manufacturing innovations, new product development, and technical and marketing programs that will further strengthen the leadership position of DuPont™ Corian® as a beautifully versatile and reliable surfacing solution for the furnishing, interior design and architecture markets. First created as a high performance material for kitchen and bathroom worktops, DuPont™ Corian® is now – thanks to its unique combination of functionality, versatility and beauty – a leading global brand among surfacing materials for interior design and architecture. Over the years, DuPont has transformed DuPont™ Corian® solid surface into an exceptional design tool for every application you can imagine. Kitchens, bathrooms, lighting, furnishing, facades, seating, radiators, home automation, touch control surfaces: today, DuPont™ Corian® can be found almost everywhere in Commercial, Residential and Public Space environments. DuPont™ Corian® has received important certifications for its environmental performance (such as GreenGuard®, NAHB North American Builders Association, US Green Building Council’s LEED® Green Building Rating System and Scientific Certification Systems) and its superior hygienic performance has been certified by independent institutions (such as NSF International, Royal Institute of Public Health and LGA QualiTest). Furthermore, DuPont Corian® is the most certified solid surface for building facades (for example it has achieved the UK certificate CWCT 2012/050, Certification “Avis Technique” ATEC 2/11, Seismic certification by CSTB). All DuPont plants manufacturing DuPont™ Corian® have reduced to zero their impact on landfills by reducing, reusing and recycling, and their environmental management systems have been certified according to ISO 14001. February 9, 2014 in Products.